The Slope Table from the Weishäupl Collection is an exceptionally stable solution to use in the residential and commercial area. With its fragile appearance, it almost looks as if it is floating. Matching the chairs from the same collection, the table appears delicate and inspires both in the living area as well as in the garden or on the terrace. The Slope Table is available with a round or square HPL or teak wood tabletop. 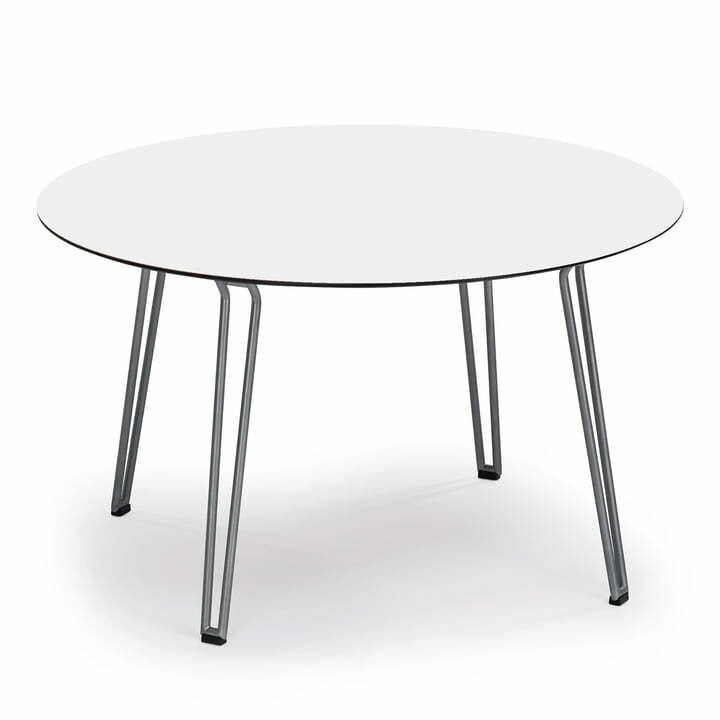 The frame can either be in stainless steel or in natural teak. Isolated product image of the Slope Chair by Weishäupl. 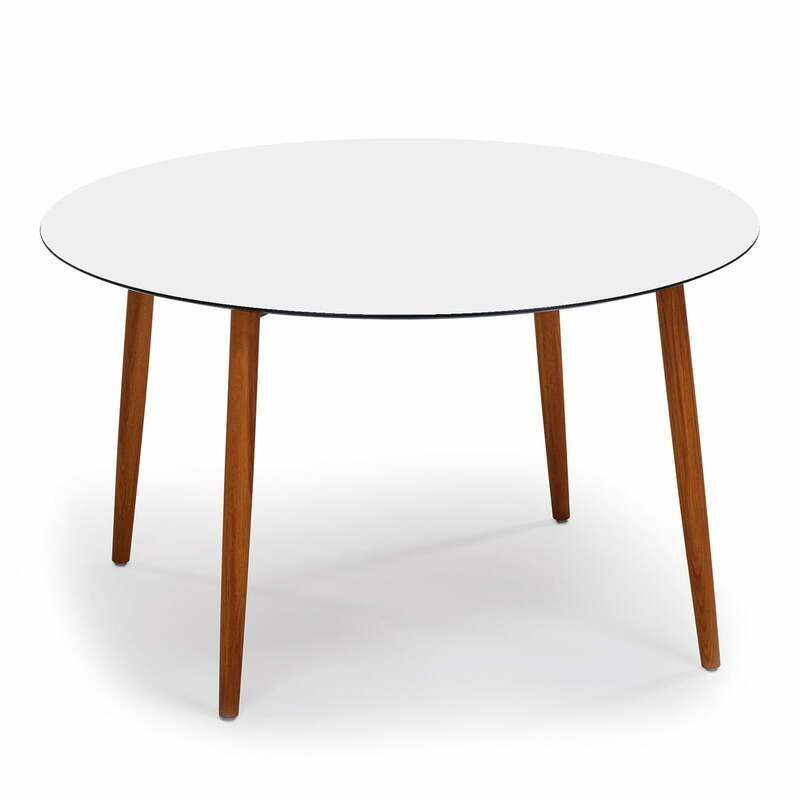 The four legs consist of teak wood and the tabletop is made of HPL in white. 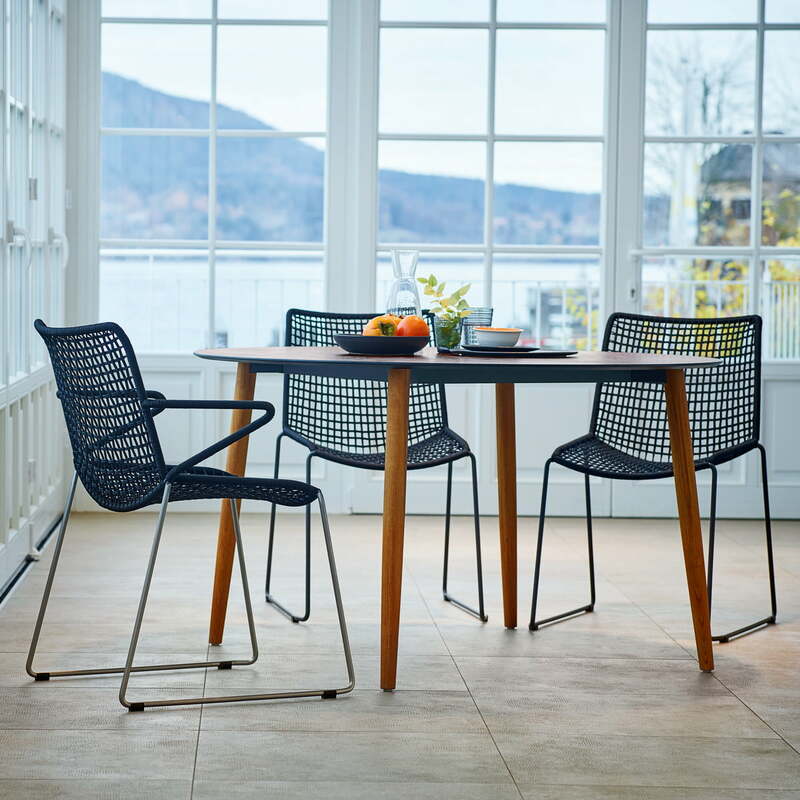 Matching the chairs from the same collection, the table looks delicate and inspires both in the living area as well as in the garden or on the terrace.